It is the aftermath of the zombie apocalypse. Civilization is gone, the dead reign, and the living fight to survive against impossible odds. Tales of zombies, human survival and horror as a fast-paced, easy to learn game and sourcebooks. Think you know all about zombies? Think again. Zombie combat rules, vehicles and equipment. Six iconic Apocalyptic Character Classes and Ordinary People with 40+ occupations to choose from. A complete role-playing game by Siembieda and others. For more information, or to purchase a physical copy of this or any other Palladium Books® title, please visit www.palladiumbooks.com. This RPG has a few warts, but nothing you can't overcome. By far this is my go to Zombie themed RPG. 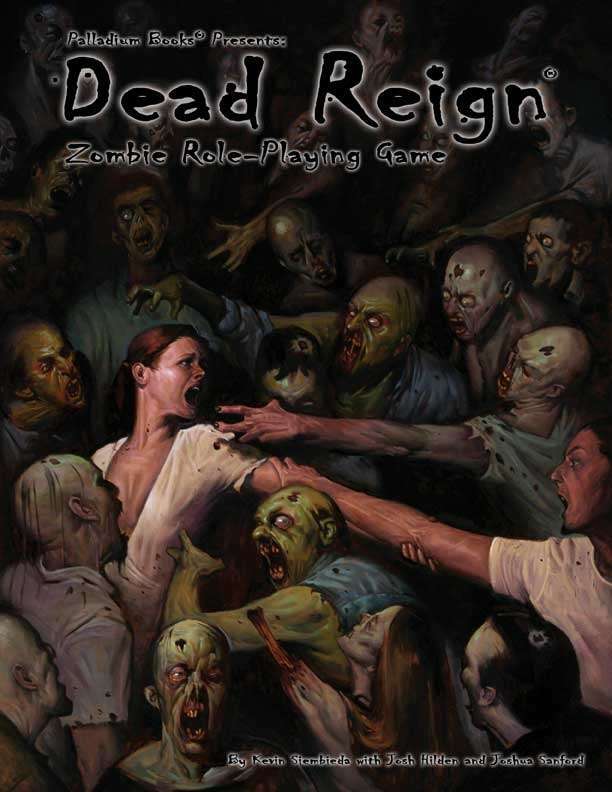 The setting is well done and with the feature of 5 options in determining the cause of the zombie apocalypse, the special zombie variants, and a wide variety of the type of characters you can play; it's certainly worth the asking price. This title was added to our catalog on September 10, 2015.